Before the cold winter season returns to Salt Lake City, Utah, you might want to consider your source of heat. There is a relatively new system that is gaining popularity in the U.S. and is expected to replace the ubiquitous forced-air system, which has dominated the American households in the last century. It’s called radiant heating. Radiant heating is not a new system for residents of Salt Lake City and other places in the U.S. In fact, history points to the Roman Empire as having effectively used this technology. In the homes of the wealthy Romans, slim chambers called ‘hypocausts’ buttressed the walls and floors. Then small fires were lit around the building that fed into the hypocausts, thereby heating the interior spaces of the home. A similar system was present at the same time in Korea, with their “Ondol.” This system used heat from cooking fires that would then be absorbed by strategically positioned stones, which would then radiate it outward into the home’s interior. While primitive, the idea of utilizing radiant heat is a testament to the effectivity of its design. While it took centuries for radiant heat technology to come to fruition, it was worth the wait. 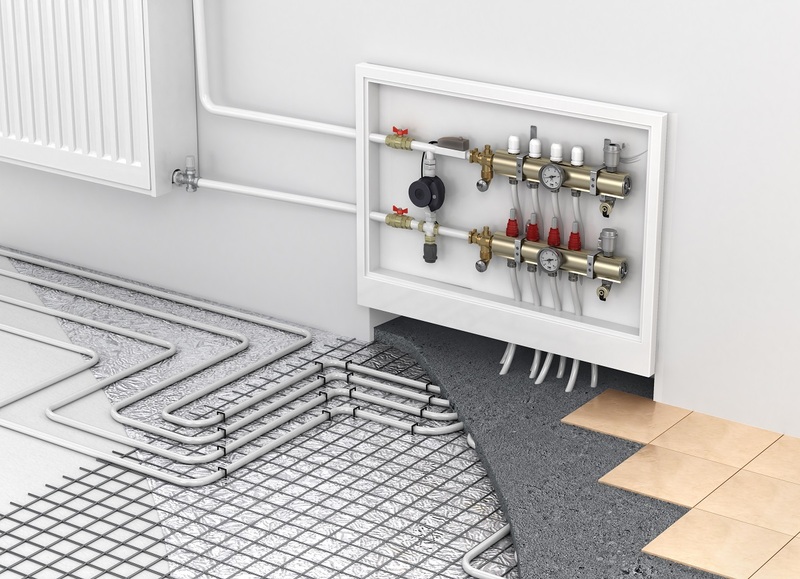 Radiant heating is increasingly becoming a more viable option over the bulky furnace or block-wall radiators that required constant maintenance. In the U.S., the current technology is radiant floor heating. This requires the installation of electric heating coils or water-heated tubing under the floors of the home. The heat emanates from the ground up and heats everything it touches. The U.S. Department of Energy’s Energy Savers website even stated that radiant heating is more efficient than the old forced-air heating because there is no energy lost through the ducts. Cost. It is estimated that a U.S. home using radiant floor heating saves up to 25% in energy costs over the typical forced-air heated home. Zoning. Forced-air heated homes have a distinct disadvantage because the heat in these homes is usually in the area closest to the source of the heat. The further the room from the source, the colder it gets. This old system also forces heating in areas that are not used at night, such as the living and dining room, while radiant heat can be independently operated to heat only the rooms that are being used. Zero duct. Without the duct system, there is nothing to clean. With the radiant heat system, you eliminate duct works and the accompanying molds, mildews, pet dander, allergens, and viruses that are circulated through your home by a forced-air system. There are no adverse effects on your family’s health. Quiet. When you turn on the forced-air system in your home, you are immediately treated to noise like that of a jet taking off. Who can sleep comfortably at night with all that clanking and whooshing noise? There is none of that in radiant floor heating. Is It Just for New Homes? 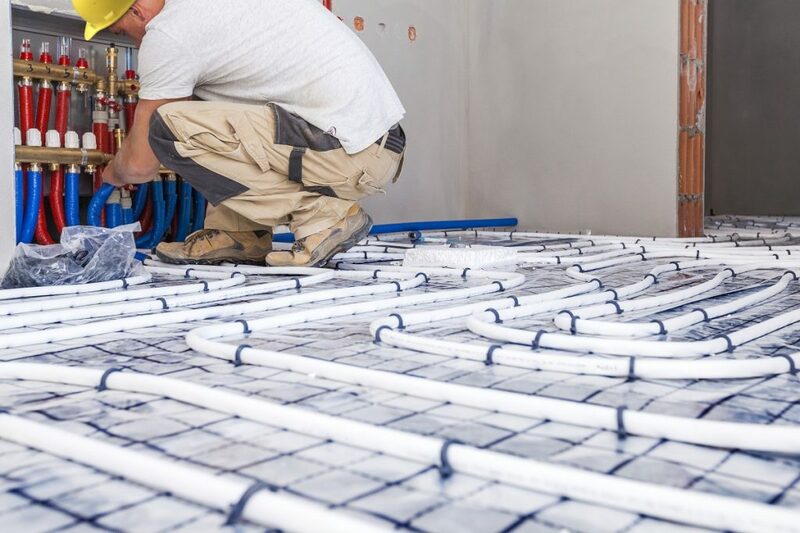 While new homes are the ideal candidates for radiant floor heating, your old home can benefit greatly from retrofitting to this new system. Most folks opting to do this would pick one or two rooms, typically the kitchen and the bedrooms. Radiant heating has come a long way since its inception, and today’s technology has allowed us to use it to its fullest. Nothing beats a quiet home that is adequately heated while there’s a fierce winter storm outside.